The study of the sky, the stars and the cosmos has preoccupied us since the most ancient of times. Staring upwards has been humanity’s obsession, representative of an incessant search for meaning as well as the often-fatal curiosity that characterises so much of our history. In 1959, the unmanned Soviet rocket Sputnik I gained the upper hand in the Space Race and achieved the first unmanned orbit of the earth. Space exploration was born, marking not only the proverbial small step for man but also the creation of a new photographic genre, a chance for all humans to catch a glimpse of their profound insignificance within the enormity of space. And while the USSR may have drawn first blood in the battle, the USA’s NASA not only took the first step onto the moon, but has spearheaded the visual history of the final frontier. It is a selection from this extraordinary collection of images that now go on show in London’s BREESE LITTLE Gallery. 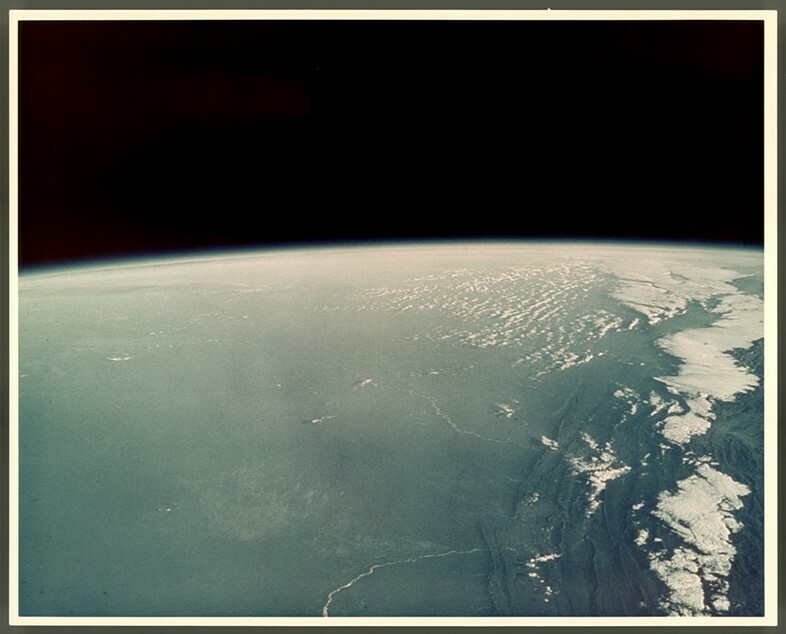 Titled Encountering the Astronomical Sublime, the show presents shots from NASA’s archive dating from between 1961-1980. You see gleaming astronauts on early space walks, lunar craters and the surface of Mars, space shuttle repairs and scientific research in action, the rings of Saturn in blazing technicolour. These pictures are, in the truest sense of the word, awesome. 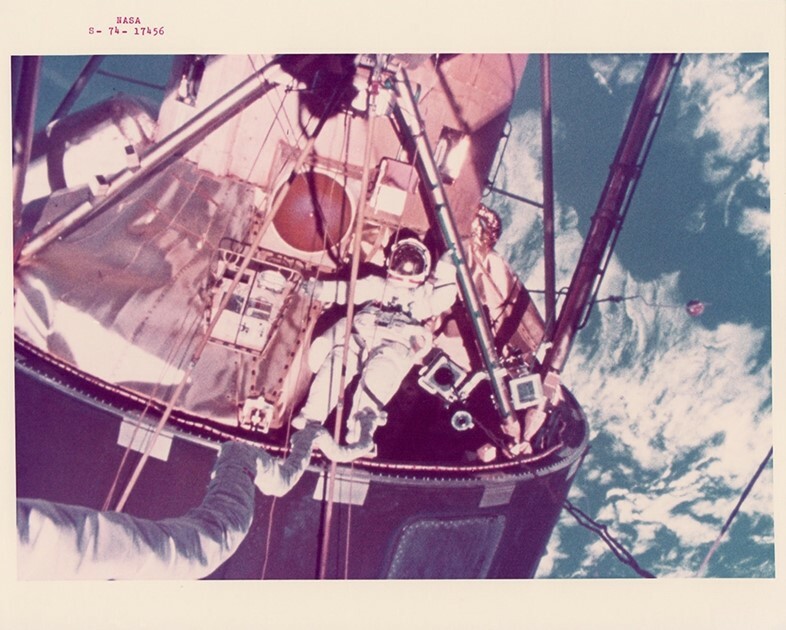 Decades on, and with Star Wars and the first astronaut #selfie having long since buffed off our sense of the majesty of space, they still take the breath away, each one a picture from a reality entirely beyond our understanding. It should come as no surprise that this was entirely the point. 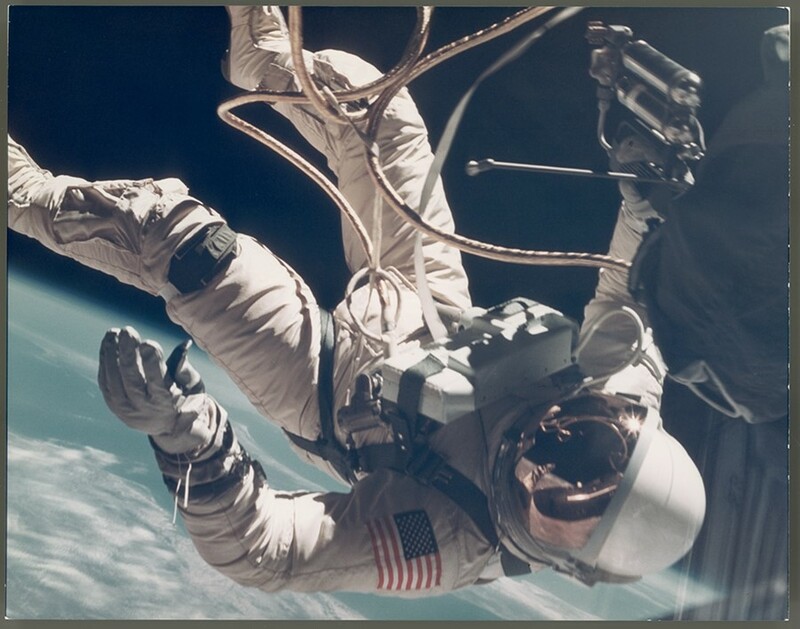 These pictures were not simply released as gasp inducers – they are propaganda designed to amaze the US public into agreeing for more of their tax dollars to be pumped into NASA’s work. They have been sharpened up and artificially coloured to grab the most attention, to heavily highlight the incredible scientific advances being made, to put the infinite nature of space into a easily conceptualised frame. “Far from objective records”, the gallery says, “they are crafted to epitomise an unknowable grandeur.” But even knowing their political purpose cannot remove their power to give a sense of the sublime - as Carl Sagan said in 1995, "There is perhaps no better a demonstration of the folly of human conceits than this distant image of our tiny world." Encountering the Astronomical Sublime is at BREESE LITTLE Gallery until October 24. Cosmic Sublime: Awe and Wonder in NASA Photography with Dr Marek Kukula, Public Astronomer is at the Royal Observatory Greenwich on October 1. Email here to confirm attendance.